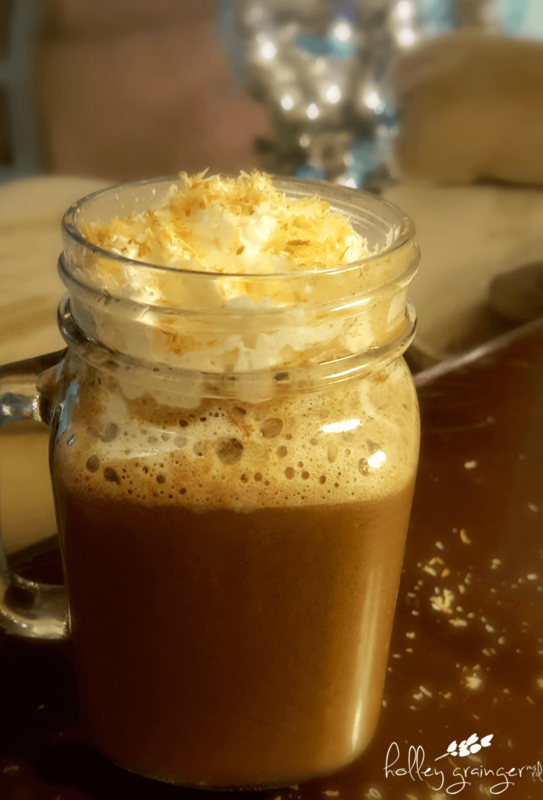 “Mele Kalikimaka is the thing to say on a bright Hawaiian Christmas Day!” That is exactly what you will be singing after your first sip of this toasted coconut hot chocolate! As temperatures start to dip below freezing, you may be wishing you had a one-way ticket to a tropical vacation paradise. But when you cozy up with a mug of this hot chocolate, paradise comes straight to you! With these simple 5 ingredients, you’ll have visions of palm trees dancing in your head in no time! 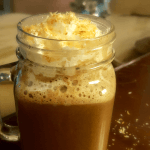 The best part about this hot chocolate is after the whipped topping melts into the drink, you get a little toasted coconut surprise is every sip! It’s a great way to unwind after a long day. 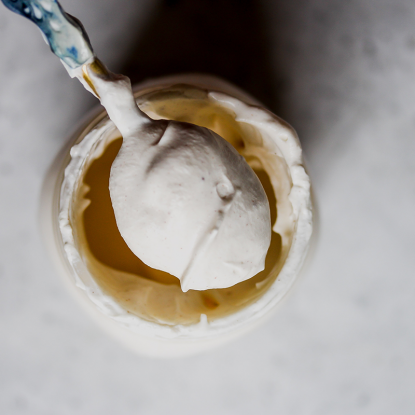 You can really amp up the coconut flavor by using coconut milk and making your own coconut whipped cream (as featured in this recipe), depending on how much you love coconut. What is your favorite hot chocolate variation?! 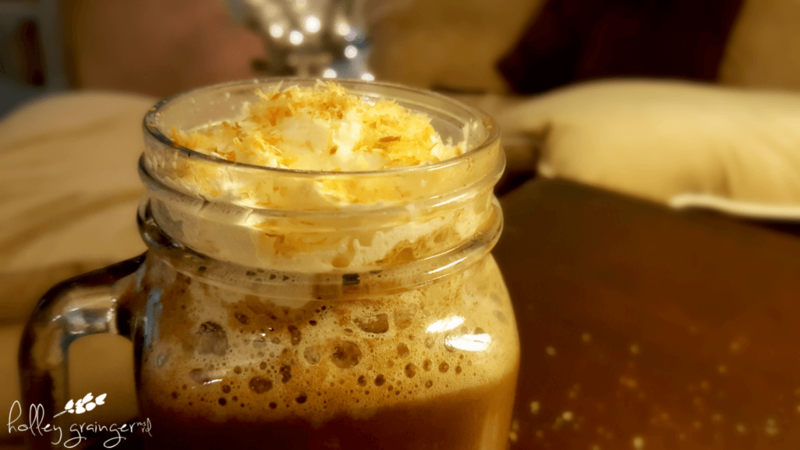 Look below for the super easy, 5 ingredient toasted coconut hot chocolate recipe! 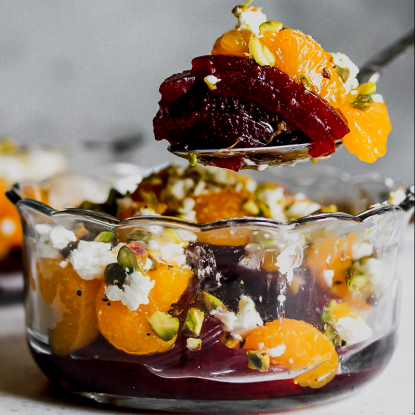 LOOKING FOR SOME MORE SWEET DELIGHTS?! 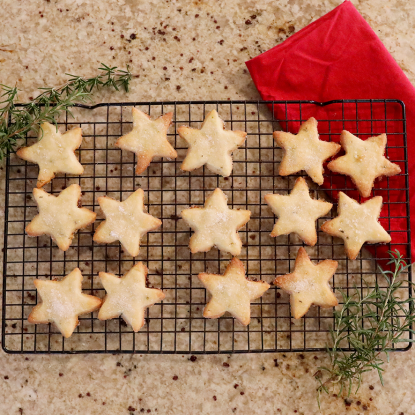 Head on over to the Recipes Page! Pour milk into a sauce pan over medium heat. Add in chocolate, sugar, and coconut extract. Whisk consistently until chocolate has fully dissolved into milk. Once fully combined and hot, take off heat and set aside. 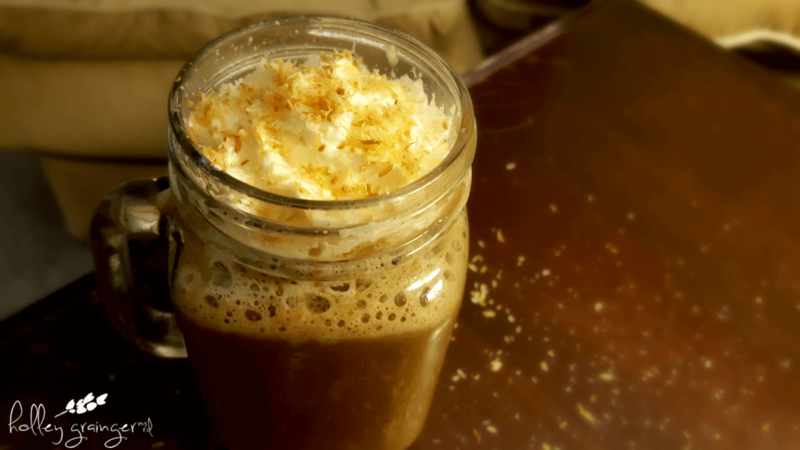 Pour hot chocolate in a mug, top with whipped topping, and sprinkle with toasted coconut flakes. One sip and you will be whisked away to a tropical paradise, even if it's snowing outside! This sounds so amazing! I’ve had a hankering for cocoa! This sounds so good right now! it’s so cold out where I live and I could use this to warm up! 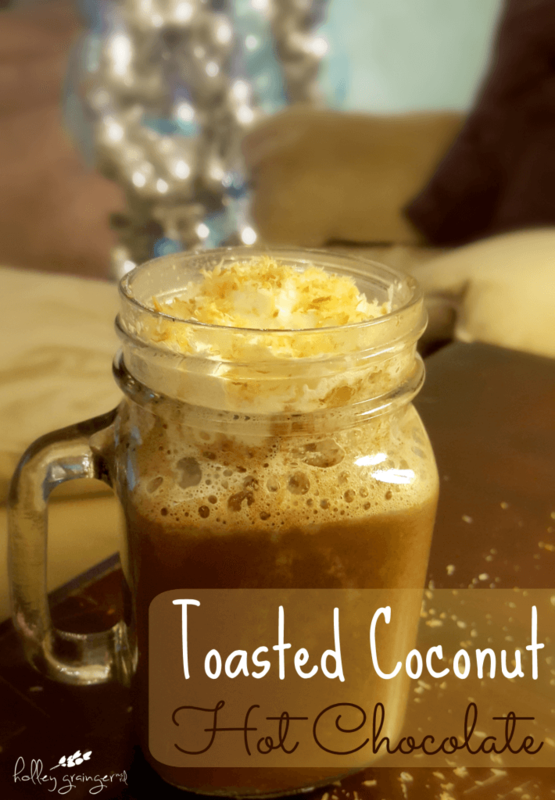 The toasted coconut is genius! So extra creamy!